ROCKET DOG - Shoes ROCKET DOG - Fast delivery with Spartoo Europe ! Created in California in 1997, Rocket Dog strives to design models that are at the forefront of fashion while remaining affordable. Constantly adapting to changing trends, fashion designers of the brand travel the world to find the inspiration for their new creations. All fashionistas can relate! Creative, daring and passionate... from a casual cool model to a more hype style, Rocket Dog never ceases to amaze! A must for every woman who loves shoes, with the brand Rocket Dog you'll find a wide range of designs. Between heels, wedges, and even ballerina flats, you can be sure that Rocket Dog will have the trendy shoe you are looking for. Always in step with the latest trends, Rocket Dog shoes are original and perfect for every season. 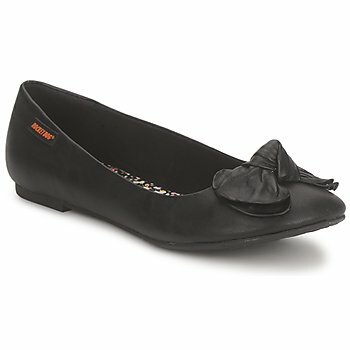 You'll find furry boots, feminine court shoes and accessorised ballerina flats. There's always a detail that makes Rocket Dog shoes stand out. Rocket Dog shoes offer diverse models, and you'll have sportswear, chic, and very casual designs. Every style is available, with one thing in common: they have to have a great look. It's so hard to choose only one pair of shoes within the Rocket Dog collection.